The Indian Defense Ministry on Thursday successfully carried out the test of a long range surface-to-air-class missile (LRSAM) system, dubbed Barak 8, manufactured jointly by India and Israel, local Odisha TV broadcaster reported. NEW DELHI The test was originally planned to be held on Wednesday, but was postponed at the last moment.According to the broadcaster, Barak 8 was test-fired from launchpad No.3 of the Chandipur Integrated Test Range (ITR) in the Odisha state. 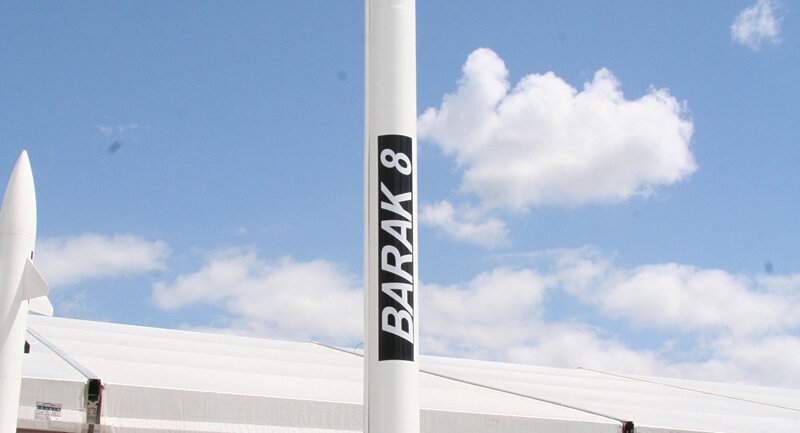 Barak 8 was developed by the Indian Defence Research Development Laboratory (DRDL) in collaboration with Israel Aerospace Industries (IAI). The long-range rocket can identify and hit an air target within a range of 70 kilometers, or some 43.5 miles.